Question: What is the safest container in which to freeze foods. I use aluminim foil and freezer bags but sometimes a container w/4 sides is better. Is freezer safe glass really dependable? I'm going to assume you mean 'what's the safest freezer container for me to use' and not 'what's the most environmentially safe container I could use' for this answer. Foil and freezer bags are my favorites too. But for something with sides I use silicone pans, glass pans and freezer/microwave safe plastics the most. The microwavable plastic containers are good for packing a lunch or snack. You can put soups, stews, or individual portions of casseroles and other dishes in them. They are very safe and eat to use for small portions. 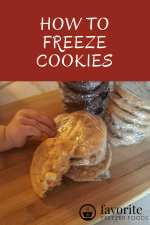 Silicone pans are super easy to freeze stuff in, pop it out of the pan and store in an extra large (1 or 2 gallon) freezer bag then pop back in the the pan to reheat. The problem is they are kinda flimsy and you'll need leave them on a cookie sheet to prepare, cook, freeze and reheat your meal. You could also use metal pans. Now, for the really meat of the question. 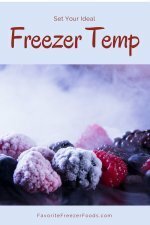 Is freezer safe glass reliable? Yes. I'm gonna go out on a limb and assume you've heard the rumors of glass pans- Pyrex in particular- breaking. They are false. Pyrex, and other freezer safe glass, have an amazing safety record. And I don't say that only because I read a bunch of studies, although the studies are out there; I say it because I use Pyrex and my mom used Pyrex and my grandma used Pyrex and more friends and family than I could ever list here and we've never seen it break. It's like the rumors of Chipotle using cat meat- totally false. This is one of the most popular, well know brands out there. Do you know anyone, face to face, who'd tell you their Pyrex bake ware shattered? If it did one of two things happened. 1) They dropped it and it broke. 2) They put it through a 'sever temperature change; usually putting the hot pan on a metal surface, or touching it with something wet and cool. Just avoid putting your hot hot glass pan on metal -like the stovetop burners- or getting it wet, in the sink, with a damp towel or hot pad, etc. and you'll be fine. It's glass, and like every other brand of glass bakeware you need to let it cool after coming out of the oven before putting it in the fridge or freezer. I usually place my hot pans on a cooling rack, aka a 'baking rack' like you'd use to cool cookies, or a hot pad to protect my countertops. If you plan to thaw your meals you can leave it in the pan in the fridge overnight. You can go straight from the fridge to the oven with glass bakeware. And you can also line your pan so you don't have to keep the pan in the freezer. You can pop the frozen meal back in your bake ware to thaw and cook. Pyrex's website says not to put their pans straight from the freezer into the oven.